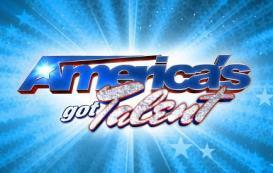 America's Got Talent Auditions... Coming to Tampa Bay! America&apos;s Got Talent Auditions... Coming to Tampa Bay! Hey Tampa Bay, Alex here to let everyone know that America’s Got Talent is holding auditions at the Tampa Bay Convention Center this November! I know Tampa Bay is full of talent, so everyone around the area sho w off your skills at the auditions, which are taking place on November 12 & 13, 2011 from 8 a.m. - 7p.m. The talent search is open to acts of all ages, which allows America’s Got Talent to showcase performers from across the country. America&apos;s Got Talent, NBC&apos;s top-rated summer series, from American Idol producers FremantleMedia North America and Simon Cowell&apos;s SYCO Television, will be returning this summer with the hottest performers from across the country ready to compete in the blockbuster reality show&apos;s sixth season. Celebrity judges are Howie Mandel (Deal or No Deal), Sharon Osbourne and Piers Morgan, while actor/producer/comedian Nick Cannon returns as host. The series is a true celebration of the American spirit, featuring a colorful array of hopeful stars, including singers, dancers, comedians, contortionists, impressionists, jugglers, magicians and ventriloquists, all vying for their chance to strut and perform on stage hoping to win America&apos;s hearts - and the one million dollar prize. Good luck to everyone planning to audition! Make Tampa Bay proud! Check back often for more information on Tampa Bay Film and on Things To Do in Tampa Bay!